Bernard Moon is the Co-founder & Partner at SparkLabs Global Ventures, a seed-stage fund focused on startups across Asia, Europe, Israel, and the US . He is also the Co-founder & Partner at SparkLabs, a startup accelerator in South Korea. Previously, he was Co-founder & CEO of Vidquik, (a web conferencing & sales solutions platform), the Managing Director at the Lunsford Group, (a private investment firm with holdings in real estate, healthcare and other industries), Co-founder & VP of Business Development of GoingOn Networks, (a social media platform for companies, and also led their product development where BusinessWeek recognized them in their “Best of the Web” list), and the Director at iRG, (a leading boutique investment bank in Asia, where he focused on TMT companies). 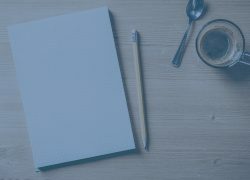 Note: DarcMatter will be hosting a webinar with Bernard Moon this Thursday, September 24th at 2 PM EST. Register here. DarcMatter: Please provide a high level overview of your investment strategy and process. In terms of process, we move quickly since we are a seed-stage firm. If a partner believes a company is interesting enough, he will share it with the others. Then we internally discuss it, an additional 2-3 partners will engage with the startup and founders, and then we will go back and have further discussion. We typically make decisions within 3 weeks with all six partners having to vote “yes”. 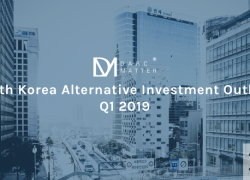 DarcMatter: What can you tell us about the South Korean venture capital ecosystem? What makes the area ripe for innovation? Coupang which just raised $1 billion from Softbank and others. Korea has always been a global trend-setter from the days of Nexon to Kakao and LINE leading innovations in mobile, so this generation is different than the 90s because more of these companies are going outside of Korea and have the ability to become global. DarcMatter: What differentiates SparkLabs from other VCs / accelerators focused on South Korea? Bernard: Our accelerator is different because we focus on startups that are able to become global players. We assess whether a company, the founders and product are able to penetrate the U.S., Japan or China as secondary or primary target markets. 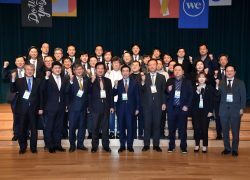 And we have the capabilities to do so from our team who have built businesses outside of Korea to our roster of active mentors across the globe. We have passed on very good domestically focused opportunities because that is not our strategy and vision. DarcMatter: How does SparkLabs get involved with portfolio companies? Bernard: We are very hands-on. Our team gets involved where the company needs help the most. We get involved in product development, marketing, crafting press releases and media outreach, operations, HR, fundraising, making financial projections, etc. Whatever the companies are lacking in, but we also prefer the companies to learn on their own when possible. DarcMatter: Finishing off on a fun note, tell us a little known fact about yourself. Bernard: I once ate 43 superhot buffalo wings as a challenge and was posted on a restaurant’s “wall of fame”. This was a couple hours after I ate lunch and these really were the hottest food item I ever ate. I would say these were ten times hotter than habanero peppers. I have a high spicy food tolerance and pain tolerance, so my lips were numb afterwards, eyes swollen and stomach was churning but I got on the wall. This Thursday on September 24, 2015, DarcMatter is hosting a webinar with Bernard Moon of SparkLabs Global Ventures. Register Today.